The British Virgin Islands’ second annual Jazz on The Hill runs May 23-24. Its featured artistes are Arturo Tappin, Bobbie Humphrey and Notes to Note along with the support of the St. Mary’s music students and talented BVI performers. It happens on the rolling hills near St. Mary’s School and tickets are available for the public. “This Jazz Festival is a celebration of BVI’s music and includes workshops to help showcase the history and power of this musical genre – including composition, and performances,”? said Rev. Clarke, Rector of St. Mary’s Church and the Administrator of the school who is coordinating the festival with a team of supporters as a fundraising effort for the institution. “There is an amazing body of musical works by jazz musicians that are rarely performed or talked about. Our goal is to showcase some of these.”? Performances as part of an institution-wide effort to raise funds, entertain and broaden the outlook of the students in this second year of the festival will expose music by the children of St. Mary’s along with appearances by MD Jazz and other local musicians from Virgin Gorda. Each daily concert is built around a specific vibe and the daily highlights are as follows. Wed., May 23 – The main attraction on this evening will be Arturo Tappin – described as a cross between Teddy Pendergrass and Kenny G, Arturo is definitely the smoothest, saxiest horn man the Caribbean has to offer. 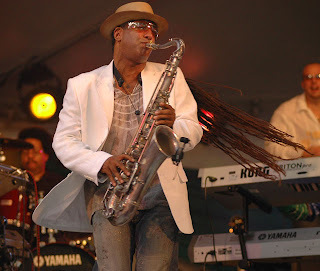 He began his musical career with formal training at Berklee College of Music in Boston, USA. He has performed at the Edinburgh Festival, Soho Jazz Festival, Miami AT&T Caribbean Jazz Festivals St. Lucia, Antigua, Curacao, St. Vincent, Grenada and Barbados Jazz Festivals and at Bob Marley’s Birthday Bash, James Bond Film Festival in Jamaica. His roots-reggae Jazz-fusion album, for his debut recording saw him increase the hype with a repeat performance on his second album entitled, “Java”, both licensed by Pioneer Records in Japan. Thurs., May 24th – The main attraction on this evening will be Bobbie Humphrey, born and raised in Texas, USA, named “First Lady of the Flute” by the critics and listeners alike for the accomplishments in her musical career. 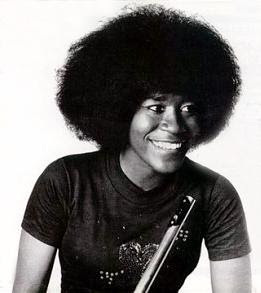 For three decades now, Bobbi Humphrey has been playing her special brand of music to audiences around the world. 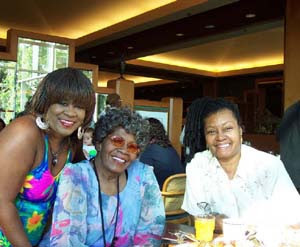 Her professional career began in 1971 when she was the first female signed to Blue Note Records. Ms Humphrey is being presented by bMobile. Another component of Jazz on the Hill apart from the shows will be the staging of 4 workshops in Virgin Gorda and Tortola. Previous: « Barbados’ Wildey Gym scorchin’: UK Reggae band UB40 start late but make up too sweet!